Cut the banana in slices. 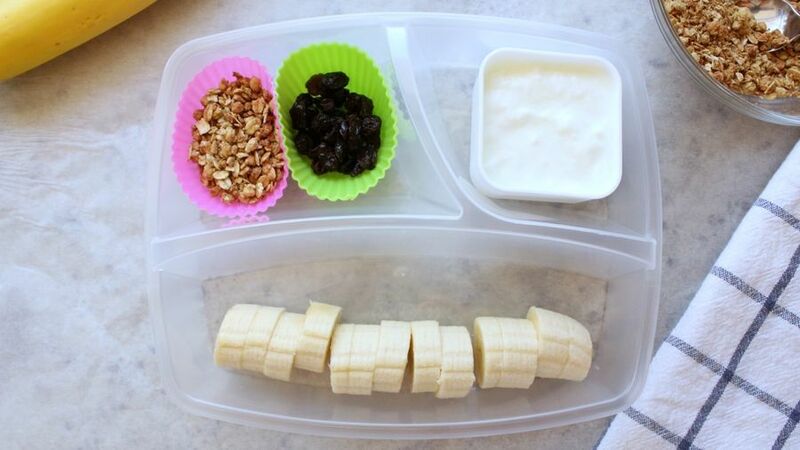 Place the granola, the raisins and the banana in different containers or in small bento boxes. 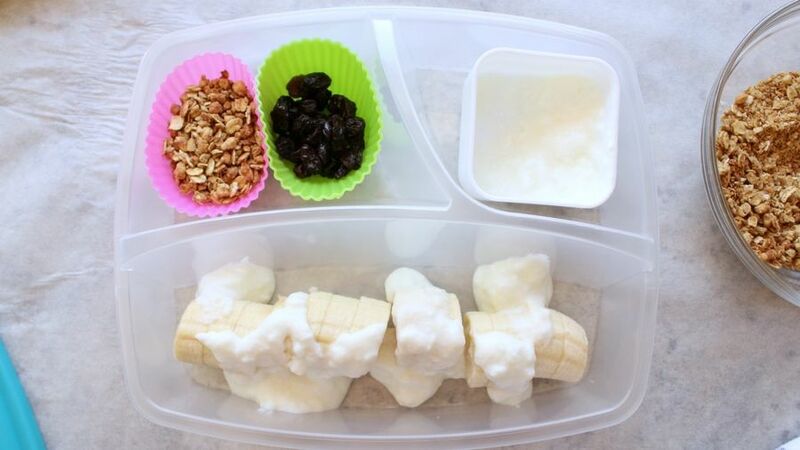 To prepare it, place the yogurt above the banana. Add raisins to taste to give it some more flavor, and then it will be ready to enjoy! Start a new family tradition, where the children are in charge of new ideas and new combinations of ingredients and flavors. 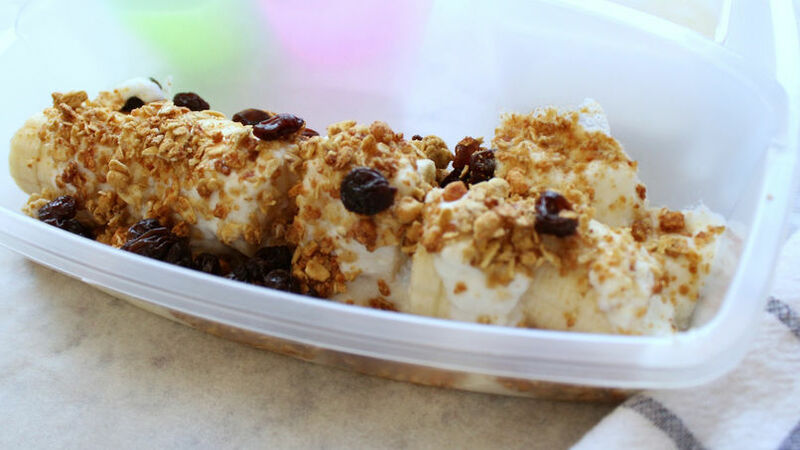 Bananas are my children’s favorite fruit, this is why I try to include them in their lunchboxes and in some snacks, like this delicious Granola and Yogurt with Bananas. I like to send the ingredients pre-cut and ready to be mixed in their lunchbox, so that they can pretend to be little chefs and have fun preparing their food within a few minutes! I hope that you and your children like this delicious recipe of granola, yogurt and banana.